Fall is here! So let’s head to the kitchen to whip up some tasty fun. 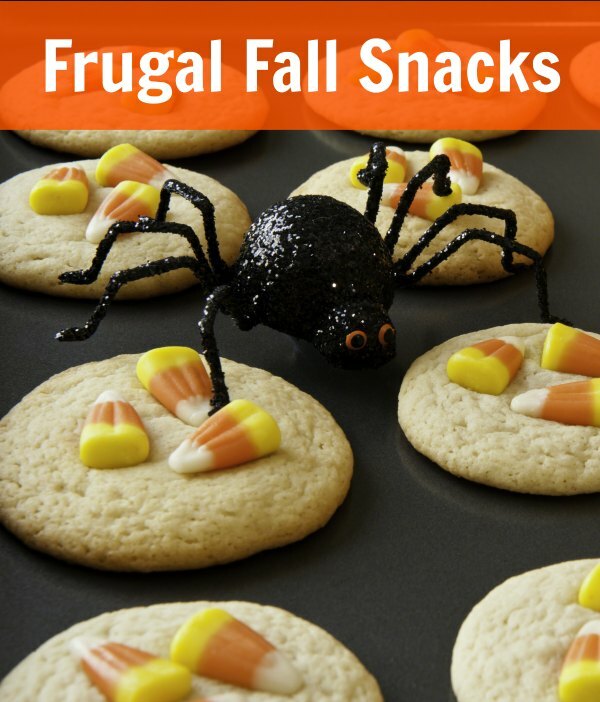 Take a look below at 5 festive and frugal fall snack ideas you can try. These snack ideas are great for kids, and are sure to leave tummies happy too. Take a look at how to get started! Fill an ice cream cone with fall colored candies, marshmallows, pretzels and nuts. Serve them on their sides so they look like a cornucopia. Kids will love nibbling on the snack mix from their own horn of plenty! Take a banana and cut it in half. Poke candy corns into the fruit until they are secure. The end result is a sweet and edible piece of “corn” complete with colorful kernels. Flip over a chocolate cookie such as a Fudge Striped Cookie. Add a dab of frosting and place an unwrapped Hershey Kiss on top of it. The end result is a spooky and edible witch hat! Press 8 pretzel sticks into the sides of a jumbo marshmallow. Use a dab of frosting as glue, and glue on two candies for eyes. 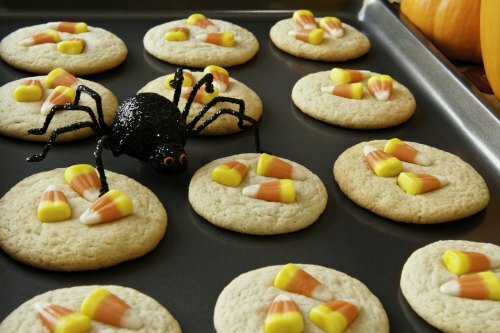 You now have a cute and edible spider that kids will get a kick out of. Take a mandarin orange and glue small felt shapes to the front to make a jack-o-lantern. You can also stick a length of green pipe cleaner in it for a stem. These make great party snacks that are not only fun but healthy. And don’t forget, pumpkin spice sprinkled in drinks and on popcorn is a quick an easy treat. You can also try dipping apples and crackers into melted caramel. So yummy! Give these kid friendly and approved fall snacks a try. They are great for doing as a family, with a classroom of kids, or to give as party favors. Kids will love how easy they are, and you will love how inexpensive they are.